London – Special outdoor photographic displays to mark Her Majesty The Queen becoming the longest-reigning British monarch open today at Buckingham Palace, Windsor Castle and the Palace of Holyroodhouse. 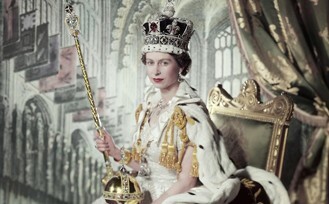 Each include images of The Queen from 1952 to the present day, from official portraits to informal family photographs. The Long To Reign Over Us displays are included in a general admission ticket. Dear Readers, further information is available to you by following this link…. This entry was posted in Arts / LifeStyle / Travel and tagged Anniversary, Britain, Queen Elizabeth. Bookmark the permalink.